After my battery ran out on my Ryobi drill, I decided I should get a second spare to swap out. I had purchase a kit including drill, circular saw and flashlight many years ago and it has been reliable though not heavily used. When using the saw, I have to constantly swap the single battery with the drill so another reason to get a second one. 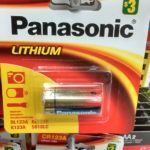 Genuine and new batteries are pretty expensive. There are many third party and refurbished batteries available on ebay. My drill uses battery model P103 (28WH, 1500maH – some are 24WH, 1300mAH). I found a seller selling refurbished P102 (24WH, 1300maH) and P107 on ebay (28WH, 1500maH). I assuming they install new cells into old cases. I ordered a P102 for around $20 USD and will update once I get it in and test it for a bit. Lithium batteries can pose a fire hazard so I am wary with third party versions. They also can only be shipped surface mail. This site here compares Ryobi battery models.